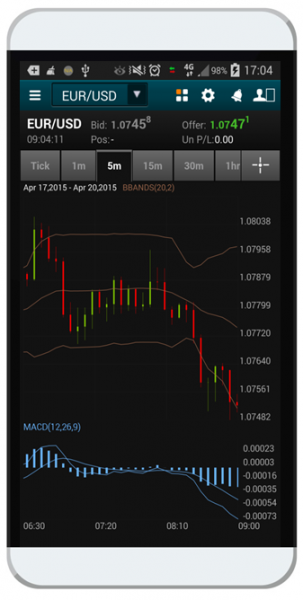 How many currency pairs does the app allow you to trade? Why should this be a consideration at all? In any case, you will not be trading more than a few currency pairs. Any mobile app should definitely offer those. However, it is still a good idea to find out how many pairs the app that you are considering can handle. It indicates the flexibility of the platform and provides you with the opportunity to capitalise on profit-making trades in different currency pairs. How many pairs should a trader focus on? Spreading yourself too thin could affect your performance and lead to losses. Concentrating on just one to two currency pairs, on the other hand, may not be a good idea either. It will restrict the number of opportunities that arise and you may find yourself making unwarranted trades. According to conventional wisdom, beginners should concentrate on just one or two pairs. But as you gain expertise, you should increase this count. An ideal number for an experienced trader could be about 10 currency pairs or even a little more. In any event, you should verify that the app you are evaluating does offer the pairs that you trade in. 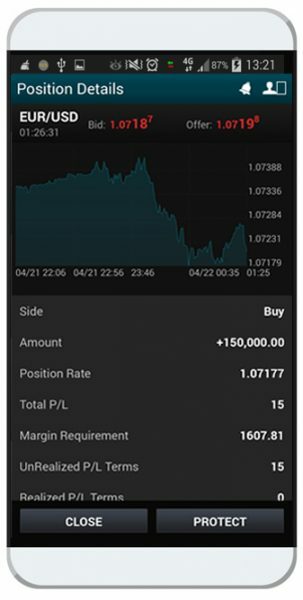 Interested to start trading FX on your mobile? Phillip Futures’ FX365 mobile app is a good way to start as it allows you to trade forex, and precious metals like gold and silver. The success of your trading strategy depends to a great extent upon the ability of the mobile platform that you are using to accommodate your needs. Does the mobile app that you intend to install on your smartphone have the ability to execute such orders efficiently? If the app is slow to carry out your instructions, you may miss out on an opportunity to book a profit. It is necessary to check if the FX mobile app is prone to slippage. 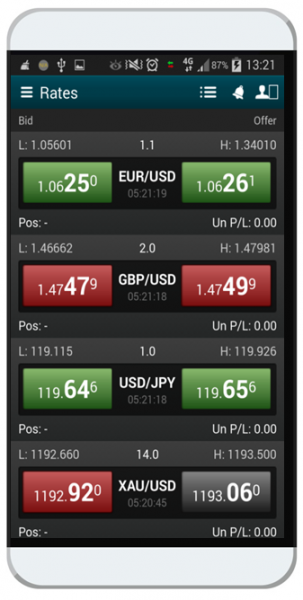 FX365 Mobile offers a comprehensive range of order types, to suit every style of trading. Many traders adopt strategies that are based on a study of the charts that illustrate how the exchange rate of a currency pair has moved over a specific time period. It is essential that the mobile app that you use supports a robust charting tool. The app should support the display of charts with time frames from one minute up to one month. Sophisticated software even allows the generation of charts that reflect price movements for shorter time frames. Studying charts on a smartphone screen can be difficult. How well is the mobile app optimized to accommodate the smaller screen size? Your trading activities will be severely restricted if you cannot view the data that you need to make decisions. FX365 Mobile allows you to view line, bar and candle stick charts, and customise them by the timeframe and the technical indicators that you are interested in. Improve on your technical trading techniques with these webinars and seminars. Short-term movements in the value of a currency are strongly influenced by economic and political data. If you want to profit from new developments, it is essential that you place your orders as soon as a particular news report is issued. What are the different news reports that can result in a currency appreciating or declining in value relative to another? Economic data, of course, usually has a direct effect. Interest rate announcements by the US Fed, unemployment data issued by the US Labor Department, and business confidence surveys can lead to price movements in the US dollar. There are also other types of news reports that you will need to track. What are the latest trade balance figures for the country whose currency you intend to buy or sell? The inflation rate and retail sales figures can provide an indication of the type of trade that could result in a profit. Does the mobile app support the real-time news feed that you use? If you discover that it does not, you could find that your trading ability stands severely restricted because of this. Phillip Future’s FX365 Mobile not only provides you with the latest market news, it also allows you to view live charts and conduct live trading on the go with its fast execution speeds. 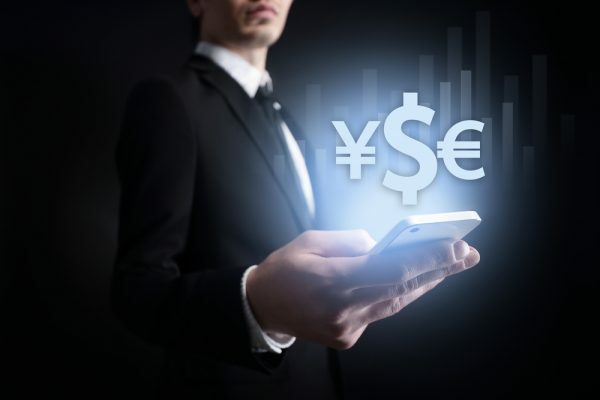 FX traders often devise their strategy on the basis of the information that is generated by various tools specifically designed to help them predict future price movements. Many traders find currency volatility charts especially useful. This tool provides graphs illustrating the price movements of different currency pairs. Another tool that can have great utility is software designed to calculate “value at risk.” This tool furnishes the probability of a price movement in a currency for a specific time-period. Check which tools the app that you are considering supports. Your mobile app needs high-end hardware to run on. The first point to consider is the OS of the phone that you intend to buy. Mobile phones that run Android or iOS are equally popular with forex traders. Both types of operating systems will support most mobile FX trading apps. You will need a large screen size to view all the different data that will be displayed. A minimum of 5 inches is recommended, but it is a good idea to go for a screen that is larger than that. The trades that you execute on your smartphone should only supplement your regular trading activity. You don’t want to miss out on a profitable opportunity just because you are not at your desk. A good mobile app loaded on a high-end smartphone will allow you to trade even when you are on the move. Ready to start trading on your mobile? With no commission fees, start trading forex, gold and silver with Phillip Future’s FX365 Mobile app today!